Students who are enrolled in BSc or MSc programs which require completion of an external thesis research project can consider applying to our research group leaders to perform their thesis project at IST Austria. Note that this is subject to available space and overlap in research interests between the applicant and the research group leader. 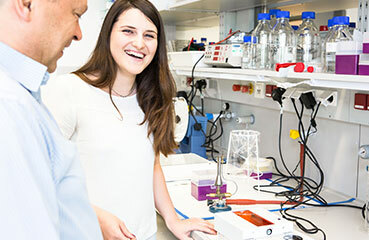 Similar to the scientific internships, students should enquire directly with the respective group leader to see if the group has any capacity to host a thesis project.